Come monsoons, and all Indian women especially up north, start looking forward to the festival of Teej. I for one, just love the festivity that goes around Teej. Women decked up in their finest clothes and jewelry, singing songs, enjoying swing rides, applying mehndi, relishing ghewar and basically making merry. So to add on to the celebration, we’ve got 5 bright eye makeup looks for you to sport this Teej to go with the vibrant feel of the festival and make you look nothing short of stunning. 1. 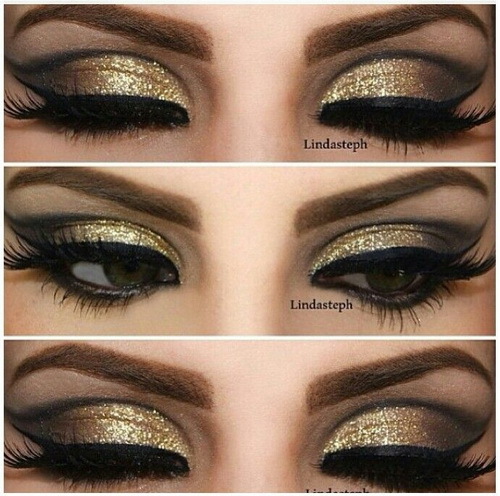 Shimmery Gold eye makeup: Gold is one color that can never go wrong for Indian skin tones. Being high shine and brilliant, it highlights your dark eyes, making them look seductive and gives your face a warm glow. Besides it goes in perfect tandem with the vibe of the festival. Top it up with glitter accents for that ultimate festive look. 2. 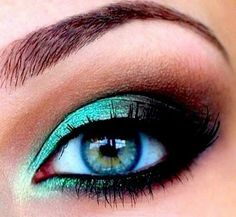 Teal Green eye makeup: Apply a layer of this bluish-green hue to give your eyes a refreshing, lively look. Besides wearing green is also considered auspicious on Teej. So might as well incorporate it to your eyes as well. Don’t forget to sweep a hint of teal on your lower lash line under your kajal too for that extra bit of eloquence. 3. 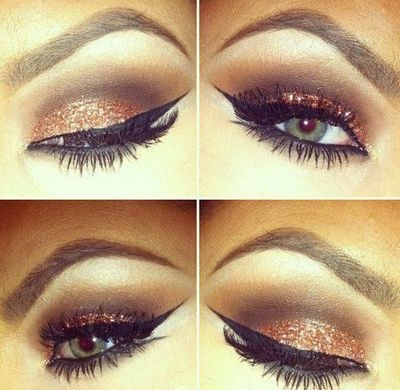 Copper eye makeup: Now this one is a personal favorite and goes beautifully with ethnic Indian outfits. Go for a smokey eye makeup by adding a layer of shimmery copper eye shadow in combination with earthy colors like beige and browns. Sweep it on the outer half of your lid. It warms up the neutral palette, highlighting your eye color. And the shimmer formula adds texture to it. Top it up with false eyelashes, if u can to give your eyes a startling effect. 4. 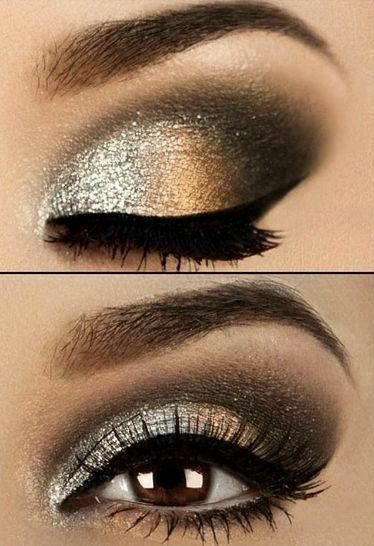 Metallic silver eye makeup: Want to go all dramatic with your eye makeup? Opt for a metallic, shimmery silver with black to do your smokey eyes for a gorgeous, ethereal look this Teej. Silver instantly glams up your eyes and combining it with black takes it a notch further making you look sultry. Team it up with a wing-tipped eyeliner to add on to the drama. 5. Cornflower blue eyeliner: If you’re not too keen on applying eye shadow, but still want your eyes to pop out, then cornflower blue eyeliner is your go-to product. Cornflower blue with its cool, vivid undertones is capable of making your eyes look strikingly beautiful. 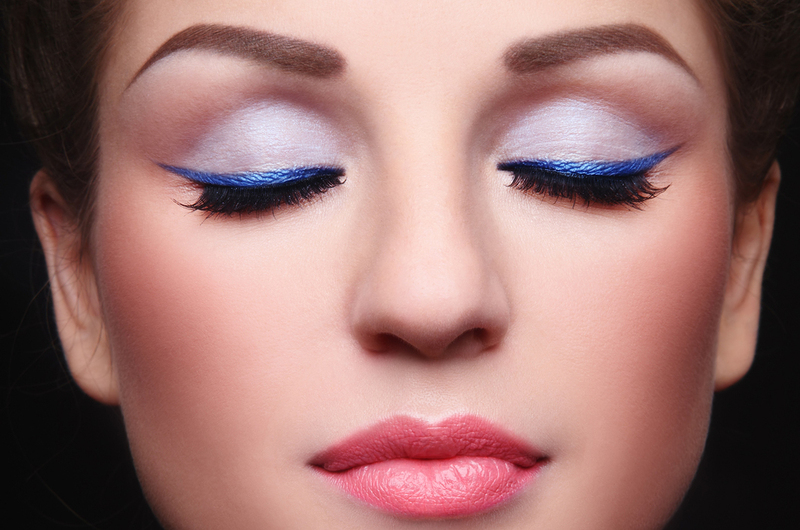 So whether you want to opt for a basic eyeliner or a dramatic cat eye is your personal choice. Would highly recommend you to go understated with your lips while you try one the above looks. So try them out, and you’re all set to look ravishing this Teej.